Please ensure that Schengen application form is duly filled and signed at all dedicated places. Questionnaire in German/English and German/Arabic. 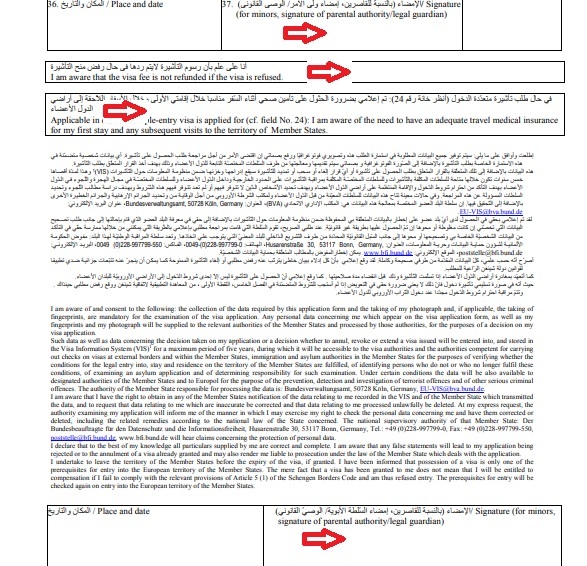 List of adequate Travel Medical Insurance (in German and Arabic).